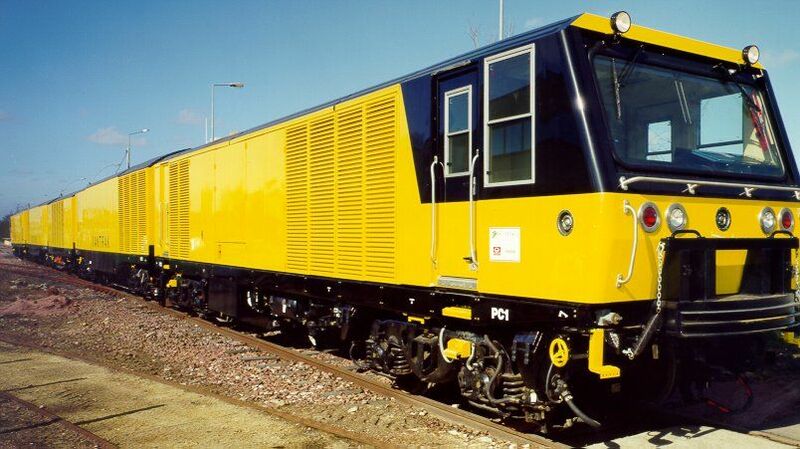 VakTrak: the vacuum cleaning train - NEU, Inc. The Vaktrak is a train equipped with an on-board high efficiency vacuum used to clean subway tracks. They are used in Subway systems to keep the network clean from dust and litter. As well as general litter, the tunnels and station areas become dirty with accumulations of dust. The tunnel dust needs to be removed to keep the tunnels clean and also to reduce the fire risk from flammable materials like news papers. Vaktrak are always designed to suit the tunnel profile, operating constraints, performance requirements and budget of the end user. Consequently the specifications and scope of supply are different for every project. NEU Railways has already supplied 15 Vaktraks to the major subway systems such as London, New York, Paris and Brussels. We are currently designing 3 new Vaktraks that have been ordered in 2015 by the MTA (New York). NEU Vaktrak owned by MTA New York.